To "Jas. 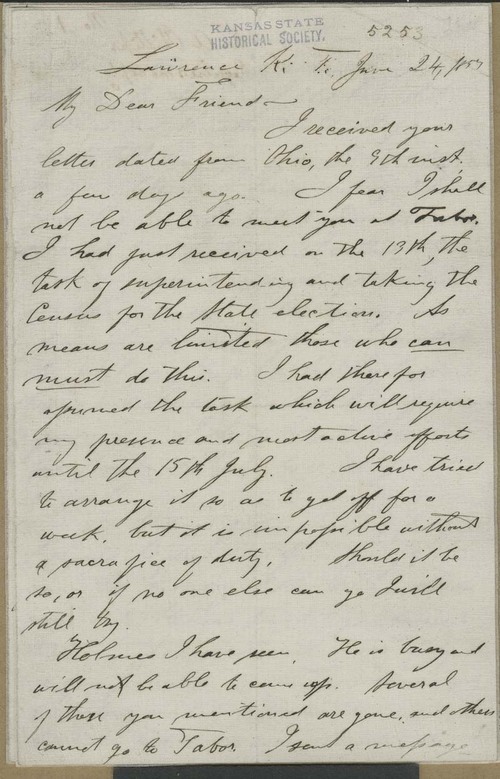 Smith" (that is, John Brown), William A. Phillips wrote from Lawrence that he would likely not be able to meet Brown en route to KT at Tabor, Iowa, but would arrange for a few others to do so. Phillips believed Brown "should come into Kansas" if he wanted to but "there is no necessity for active military preparations now."